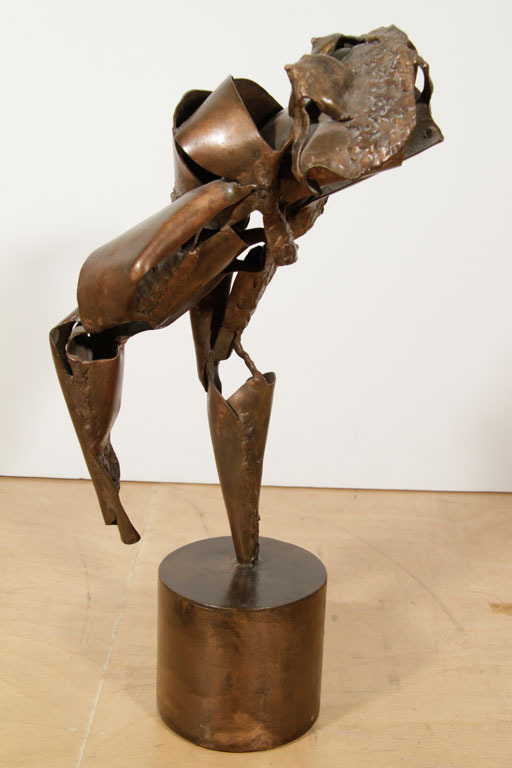 Abstract depiction of a walking woman, made from painted bronze pieces that have been manipulated and welded. Supported by a bronze cylindrical base. This sculpture is signed. Sculptures like this by P.& K. LaVerne are very rare.